Founded in the state of Florida in 1995, Gamma Eta Sorority, Inc. finds its origins as a student organization at the University of Florida where it was first known as Gamma Eta Society. 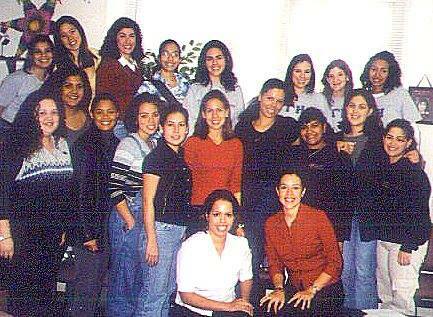 In the fall of 1995, under the leadership of our founding mother Ilena Camilo, 17 ladies came together to create Gamma Eta. These women saw the need to form an organization that would offer a support system to women of diverse backgrounds. Although they faced numerous barriers in becoming formally recognized as an official sorority, our founding mothers persevered and initiated the founding class in the spring of 1996. Gamma Eta was finally chartered and incorporated as an official sorority on August 2, 1999 and achieved recognition as a Greek Letter organization. In 2006, Gamma Eta was admitted as a full member of the National Multicultural Greek Council.